Post-traumatic stress disorder (PTSD) can occur after someone goes through a traumatic event like combat, assault, or disaster. Most people have some stress reactions after a trauma; however, if the reactions don't go away over time or disrupt your life, you may have PTSD. 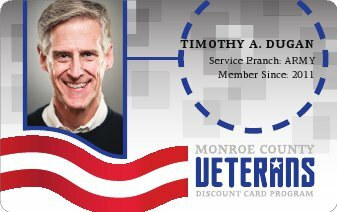 The process of applying for a VA disability due to PTSD may take some time; Monroe County veterans service officers are familiar with every step in the application process, and can provide both technical guidance and moral support. For more information about filing a claim for PTSD, please call the Veterans Service Agency at (585) 753-6040. We are prepared to assist you with this process. For emotional support, please see the following list of local agencies that specialize in treatment of PTSD. Mission: Vet Centers provide non-medical counseling and assistance to war zone veterans and their family members who are experiencing problems and issues related to active duty military service in a war zone or in the course of deployment during war. Vet Center and PTSD: Many returning war zone veterans will exhibit the symptoms of PTSD such as sleep disturbance, irritability, intrusive recollections of war experiences, isolation, increased aggressiveness, emotional numbing, and inability to enjoy pleasant activities. These symptoms may be acute initially after returning from the war zone. They may diminish in time, or they may become long-term issues that affect functioning and quality of life. Vet Center counselors are highly trained and experienced in the assessment and treatment of PTSD. Eligibility: Vet Center services are FREE to eligible veterans and their family members. Eligibility is verified through individual DD-214 or other military or VA record. Overview: The PTSD treatment team is experienced in treating PTSD, substance abuse, anxiety, depression, and other disorders. Our professional team includes a variety of disciplines including psychology, psychiatry, social work, counseling, nursing, and recreational therapy. The Team will provide you a complete treatment program to meet your PTSD needs. Our clinicians partner with other veterans organizations, community, federal and state agencies to ensure all your needs are addressed and supported. The Men's PTSD program is located in Jack H. Wisby Jr. PTSD Treatment Building (5) and the Women's Program is located in a separate building on the grounds of the Batavia VA located at 222 Richmond Ave, Batavia, NY 14020.